We look forward to your visit to Splash Works! 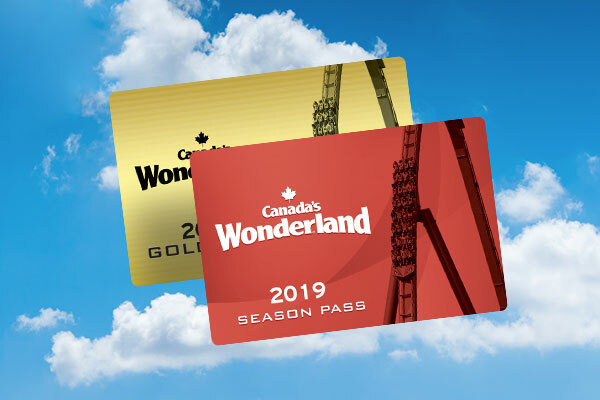 Splash Works is Canada’s Wonderland’s premier water park and is included with all park tickets and Season Passes. Our goal is for you to have a safe and enjoyable visit. This page will provide you with relevant information to make the most of your day at Splash Works. If you have any additional questions regarding your visit to Splash Works, we would love to help! Contact Us. We look forward to seeing you at Splash Works! Guests wearing bathing attire with metal buttons, rivets, zippers, or snaps will not be permitted to ride Lakeside Lagoon - Slides, Muskoka Plunge, or Splash Station Slides. If you do not have appropriate swimwear, swimsuits and other aquatic gear can be purchased at Splash Surf Shop. Splash Works provides a full day of fun in the sun! To make the most of your day, be sure to drink plenty of water in order to avoid heat exhaustion. Drinking fountains are located near each restroom. Don’t forget to apply sunscreen frequently throughout the day. If you happen to forget your sunscreen, Splash Surf Shop and various merchandise locations throughout the Park have a variety of sunscreens and sundries available for purchase. Lifejackets are available for use throughout Splash Works. Lifejackets are complimentary and are available to any guest wishing to use one. Children, first-time swimmers, and weaker swimmers are encouraged to wear a lifejacket. Lifejackets are available for all guests needing special consideration. Some attractions require children below a specific height to wear a lifejacket before participating in the attraction. Aquatics staff and lifeguards reserve the right to impose the use of lifejackets as needed. 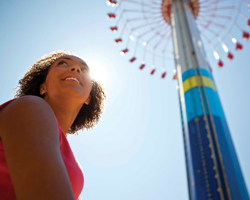 For specific attraction requirements, please check out our Rider Assistance Guide. Guests are permitted to wear their own lifejacket; however it must be Coast Guard certified. As there isn’t an opportunity to determine swimming competency in the waterpark environment, we will be requiring that all users under 48” in height or under 10 years of age wear a lifejacket/PFD in both White Water Bay and the Lazy River. Lifejackets are available throughout the waterpark on a first-come, first-serve basis. Guests are able to use their own lifejackets as long as they are Transport Canada, Oceans and Fisheries Canada, or Canadian Coast Guard approved. If you happen to lose an item or leave an item behind while visiting, please drop by the First Aid Station during regular operating hours. After hours, please visit Guest Services located at the Front Gate. For your convenience, lockers are located in between the Splash Works entry gates. Various locker sizes are available for all of your personal belongings. Locker rentals are automated and can be paid using cash, and credit cards. Debit cards cannot be used at this time. The lockers work with electronic pin codes and will allow unlimited access throughout the day. Locker access is available until both Splash Works and Canada’s Wonderland are closed for the evening. 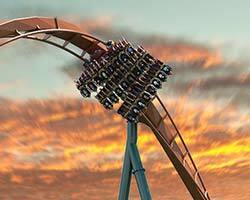 Canada’s Wonderland cannot be held responsible for lost or stolen items. Relax and enjoy the privacy of your own wave side cabana. A limited number of exclusive cabanas are available each day and often sell out. For more information and to reserve your cabana, please visit our Cabanas page.